I pledged that my mission was to discover, inventory, photograph, and write about contemporary material culture. 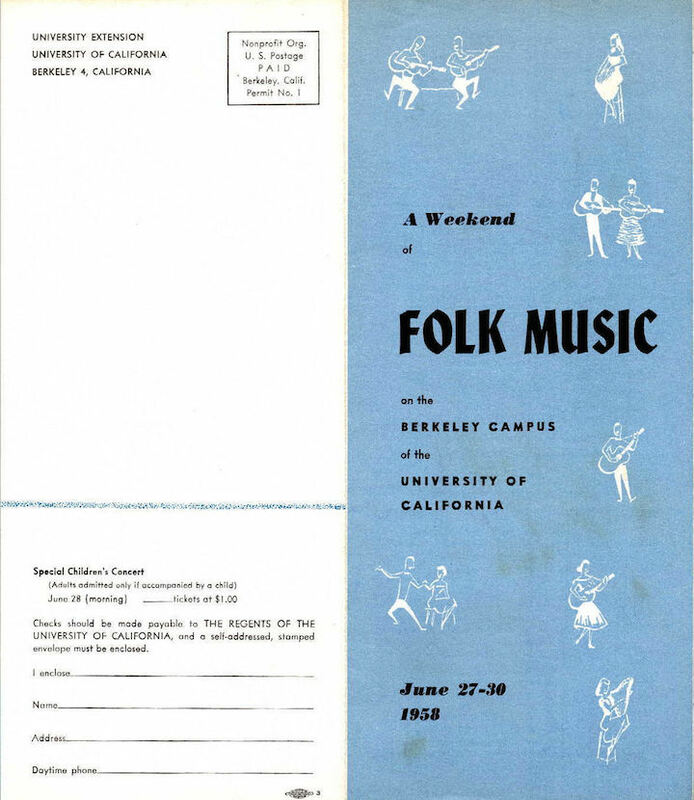 I gave that pledge up quickly and have enjoyed trips down memory lane, to a quirky Berkeley of the past. We had the very quirky driftwood sculptures in the tidal flats and marshes of Emeryville. And then we didn’t. 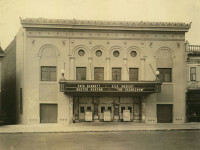 They are mostly gone, but there are buildings to see, images to remember. We had a lot of them, very different characters. Here is what remains. 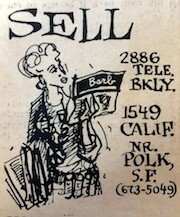 Telegraph once ran from Bancroft to the Sather Gate, a whole other block of architecture and stores. The block was wild. 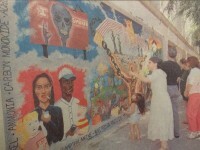 Torn down now. Gone. 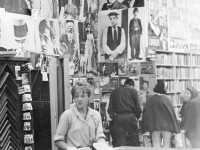 Telegraph Avenue was home to many bookstores in the golden age of the 1950s and 1960s. A few stand. Most are gone. The Alta Vista Building, the Berkeley Inn, and the Sequoia Building once stood proud on Telegraph. The wrecking ball took them all, two after fires. Gone. 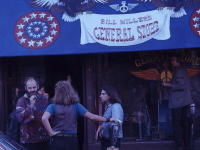 Telegraph Avenue once hummed with the words and images of the counterculture. 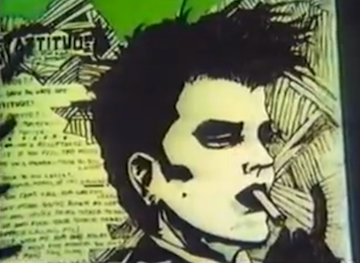 Underground newspapers, journals, and comics flourished. 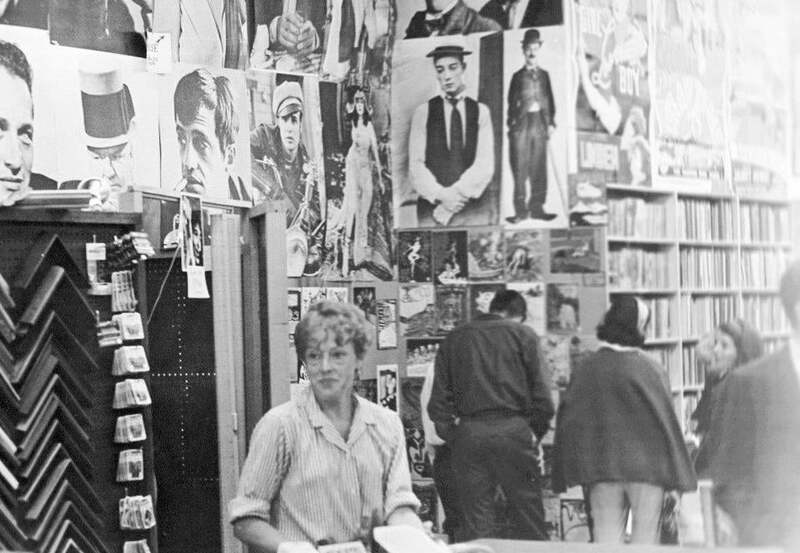 The Barb, the Tribe, the Black Panther, the Telegraph Avenue Liberation Front, Don and Alice Schenker’s Print Mint, Don Donahue and Dori Seda, and Bud Plant’s Comics & Comix. It rocked. On the Church team: Holy Hubert and Richard “The Hippie Priest” York. 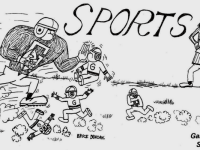 On the State team: Robert Scheer, Big Bill Miller, Jerry Rubin, and Stew Albert. What a mix! 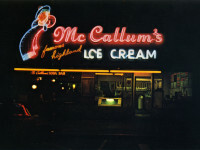 McCallum’s, Brennan’s, Celia’s, Edy’s, Ozzie’s, Caffe Espresso, Espresso Forum, Buttercup, Robbie’s Hofbrau. 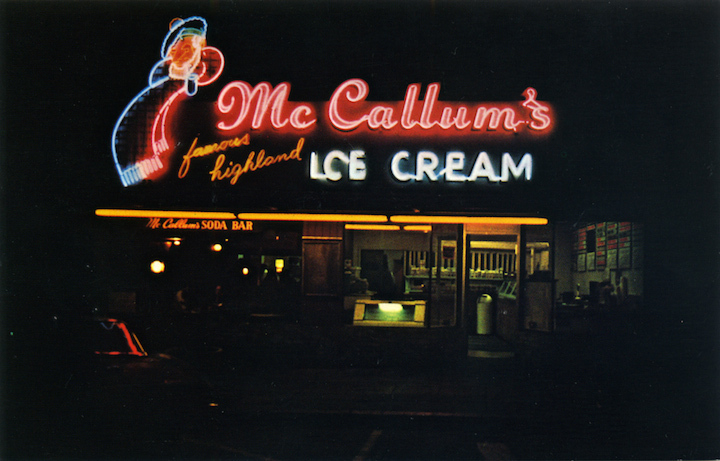 We ate there when we were young. 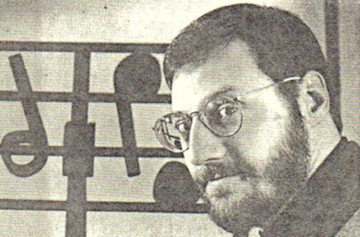 When the folk music revival hit in 1958, we were there with The Steppenwolf and the Blind Lemon. 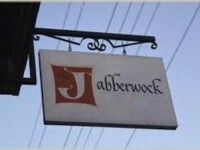 Then the Cabale, the Questing Beast, Babylon, Freight and Salvage, and the Jabberwok on Telegraph. All gone. We started a year before Newport Beach. 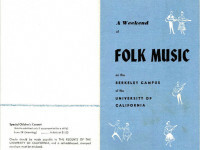 From 1958 until 1970 – a world-class folk music festival. 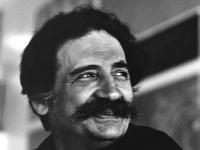 From 1980 until 1994, Barry Smiler and Julie Bidou gave us Julie’s Place, a moveable feast of acoustic and folk music. The idea lives on in Julie’s living room at Strawberry Lodge. 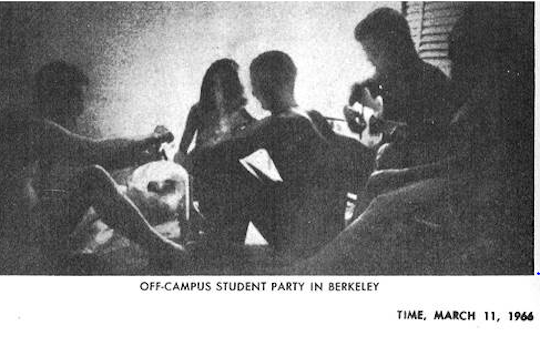 We weren’t Greenwich Village and we weren’t North Beach, but we had both Allen Ginsberg and Jack Kerouac here in the mid 1950s. 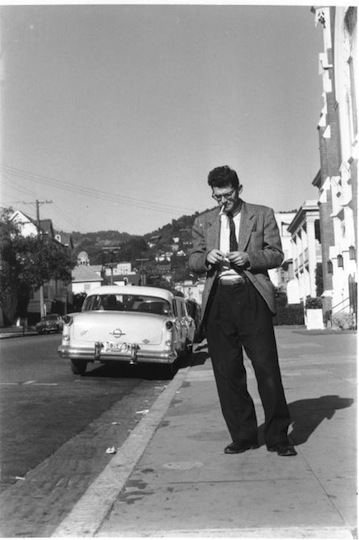 A look here at Ginsberg’s time on Milvia and Jack’s time on Berkeley Way. 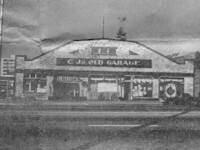 When C.J.’s Motors on Telegraph in the late 1960s, it was reborn as C.J.’s Old Garage, an indoor space for hippie businesses – crafts and food. 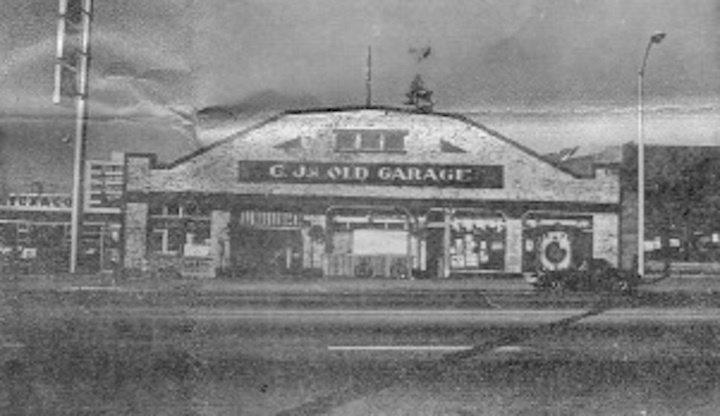 To a few, even now 2566 Telegraph is known as C.J.’s Old Garage. 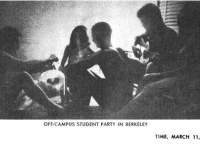 The Sexual Freedom league we had with us from 1966 until 1967. Shock! Outrage! And other manifestations of the political sexual revolution and body freedom. 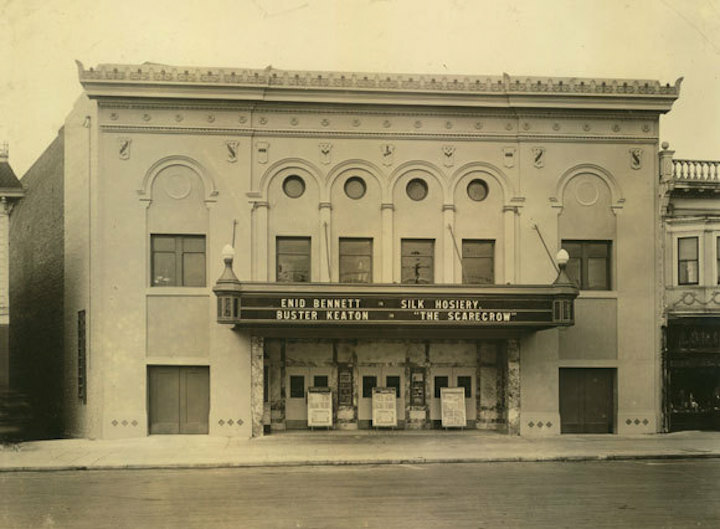 Berkeley was once a city with many, many movie theaters. Here are images and names of many that were gone before any of us were here to remember them. 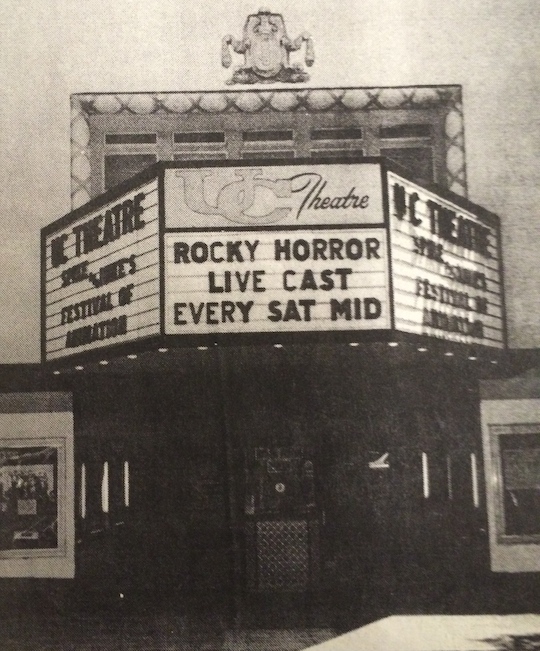 These are the theaters that are gone (or in limbo) that the older among us remember. 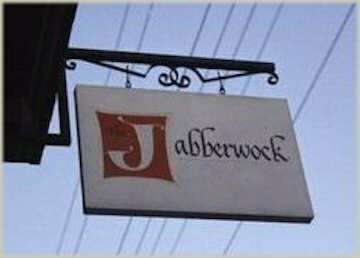 They were open at least into the early 1960s, some into the new century. We were better when they were with us. A Berkelyside Post showcasing Diane De Pisa’s publication of many of her late husband Elio’s most wonderful photos of Telegraph, 1960-1972. Must see! Bruce Duncan was an outsider’s outsider in Berkeley until his death in 2009. 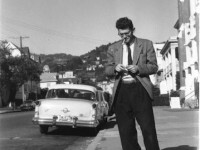 Here – a small glimpse at Duncan during his years at Oxford School and Garfield Junior High. 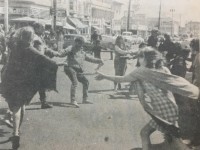 So – 50 years since the Summer of Love. 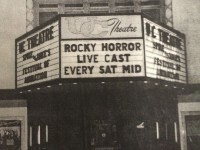 It was more of a San Francisco thing that a Berkeley thing, but here – history lite of our town in that year, mostly courtesy of the Barb. 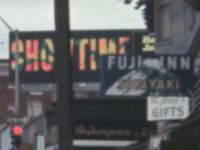 The Fuji Inn – Photo Found! 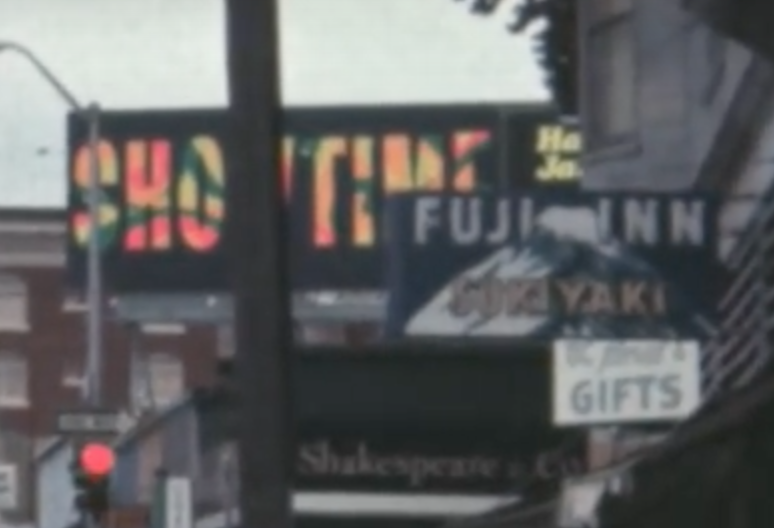 For four years, I searched without success for a photograph of the Fuji Inn on Telegraph – Jack Kerouac used to eat there. In late June, my obsessive search paid off – two photos in one night! Rapture! The magic journey of Alice and Don Schenker, from the Beat movement to 20 years on Telegraph with the Print/Reprint Mint, selling art prints, posters, and underground comics. 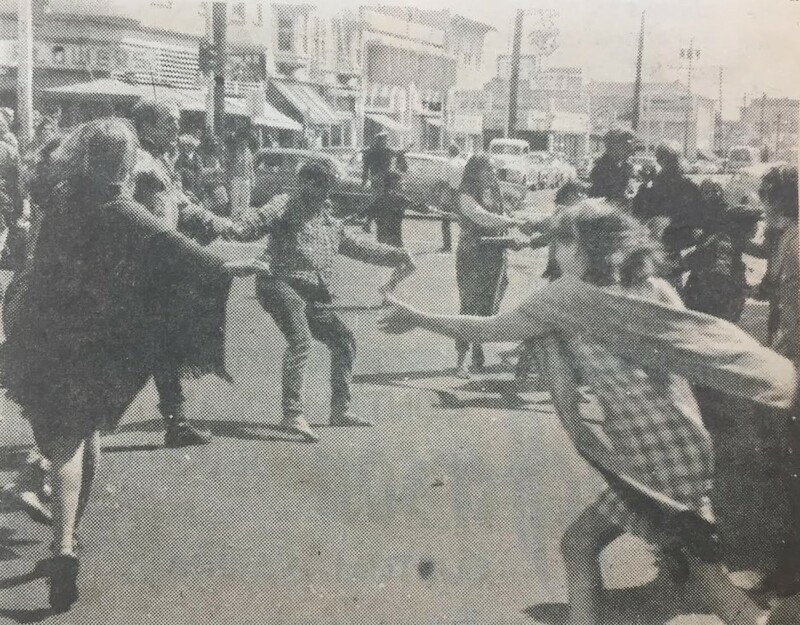 From 1964 until 1969 – the Free Speech Movement, the Red Square Dress Shop, People’s Park, and the crown of Miss Chinatown SF 1965. Only here. Only then. 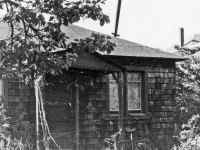 FINALLY – photographs of Allen Ginsberg’s cottage behind 1624 Milvia, where he lived in 1955 and 1956. 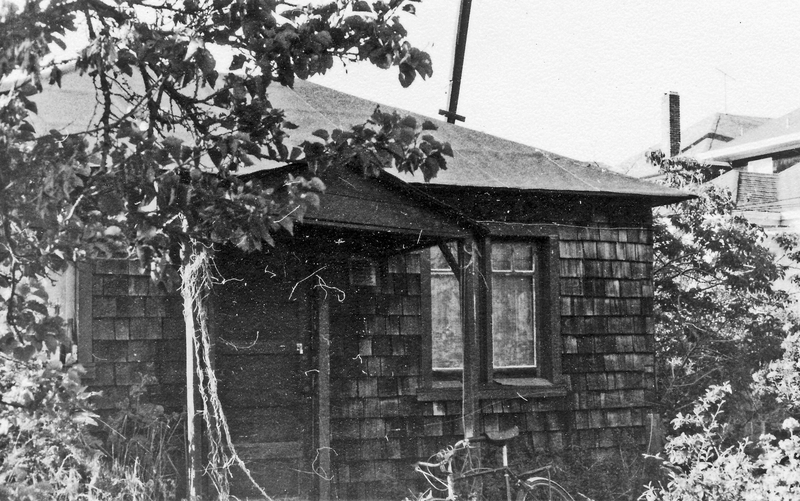 Dennis Starleaf lived in the cottage two years later and sent five GREAT photos. History! Berkeley! I was saddened to hear about the closing of the Cafe Mediteraneum in November of last year after 60 years in operation. 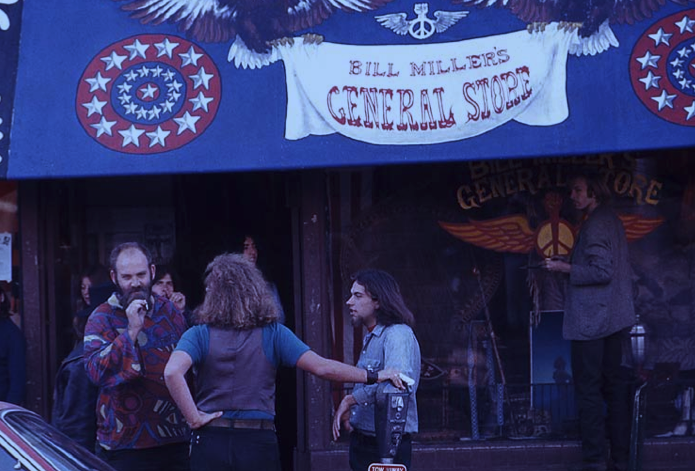 Although its popularity had waned in the ensuing decades, largely due to a proliferation of other coffeehouses throughout the town, nevertheless it was a true Berkeley countercultural (no pun intended) icon and a major symbol of Telegraph Avenue life. The Cafe Med was the first espresso house in the East Bay and one of the first in the Bay Area, quickly following on the heels of opening of the Cafe Trieste, the first espresso house in San Francisco which opened earlier that year in 1956. 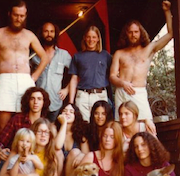 Both coffeehouses were meccas for students, beat poets and artists and it is likely that the poet Alan Ginsberg wrote much of his famous poem “Howl” at The Med. 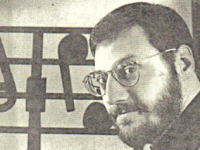 The local artist Martin Metal, profiled elsewhere on Quirky Berkeley was also a habitué of The Med. It is purported that The Med was also the birthplace of the Caffe Latte, supposedly created in response to American palates that found espresso a little too strong-flavored. No doubt the Cafe Med helped inspire Dutchman Alfed Peet to open his lengendary roastery and coffeehouse across town.